“Made for what matters” – this is how the tag line goes for the spectacular Google Nexus 7 tablet. The Play Store listing shows three variants of Nexus 7 (2013) tablets lined-up for the Indian market which includes the 16GB and 32GB Wi-Fi models along with a 32GB Wi-Fi + LTE model. It’s a high-specification device from a big name listed at Rs.25,999/- . The new version confusingly has the same name as predecessor, but it’s a very different beast, with improved screen, processor and a new camera, plus the latest 4.3 incarnation of Android. Google has worked considerably on Google Play store device pages. We see a completely revamped web page in terms of fiddling between models. Previously, you had to choose from cards for each model of the Nexus 7 in a sub-section just below the device description, but now, Google is letting you choose the storage size via button, and then LTE (carriers separated) or WiFi from a drop down menu. Display– The device features world’s sharpest 7″ tablet screen which can portray over 2.3 million pixels. With 323 pixels packed into every inch, you can read text that’s sharper than the printed page, see images more vivid than the highest quality photo magazine, and watch videos in 1080p HD. It also features scratch-resistant Corning Gorilla Glass 3 protection. Camera– 5megapixel rear camera and a 1.2-megapixel front-facing camera with autofocus. Battery– 3,950 mAh super powered battery to stand tall day long. 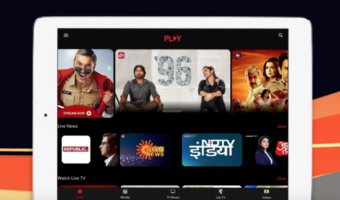 The add on features includes loudspeaker, sensors, microphone, inbuilt Google Chrome, YouTube in HD, Google+ app which makes is top notch for connecting with friends and family. 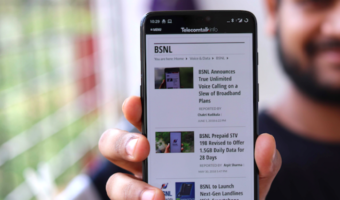 Google Nexus news and its features show that it is rightly the new age tablet and presents powerful features helpful in day to day activities. Thus all in all it presents you with best features to explore and enjoy. The available color is black for this tablet. It offers value for money than just about any other tablet – it’s still the one to beat. 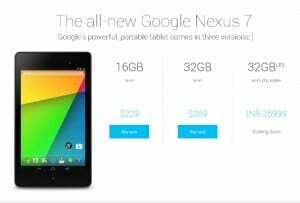 ‘Google Nexus 7 2013’ is not yet launched in India ‘Officially’ and Play store does not list this model yet. The Nexus 7 listed on the Indian Play Store is last year’s model, not the new one.